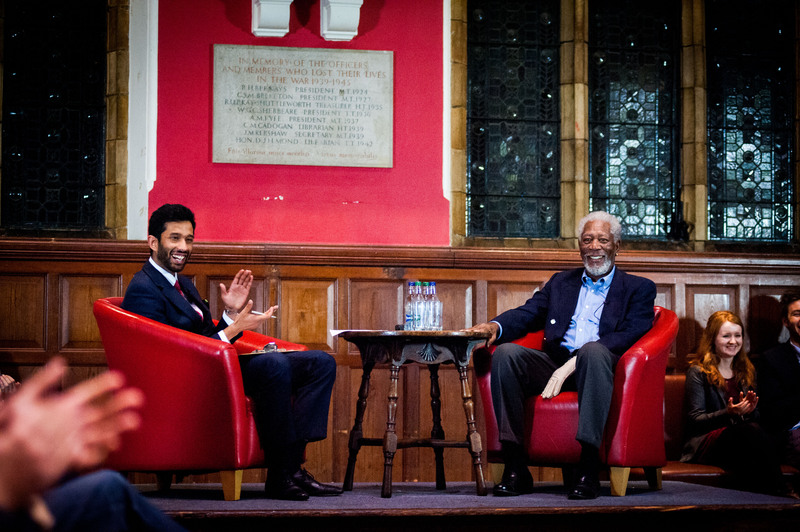 LOS ANGELES (November 12, 2014)—Last night, Academy Award-winning actor Morgan Freeman delighted Oxford University students and filled the rafters of the Oxford Union at University of Oxford, U.K. with an evening that provided serious insight into both the man Morgan Freeman and into the profession of acting. The event was the first in a partnership between the Oxford University Union and the Screen Actors Guild Foundation to feature a special Conversations series with legendary actors discussing craft and career with students, alumni and performers at Oxford. At the inaugural SAG Foundation Conversations at Oxford, Freeman demonstrated his wit, his character and his straightforward manner by getting through over 30 questions in the hour long event. 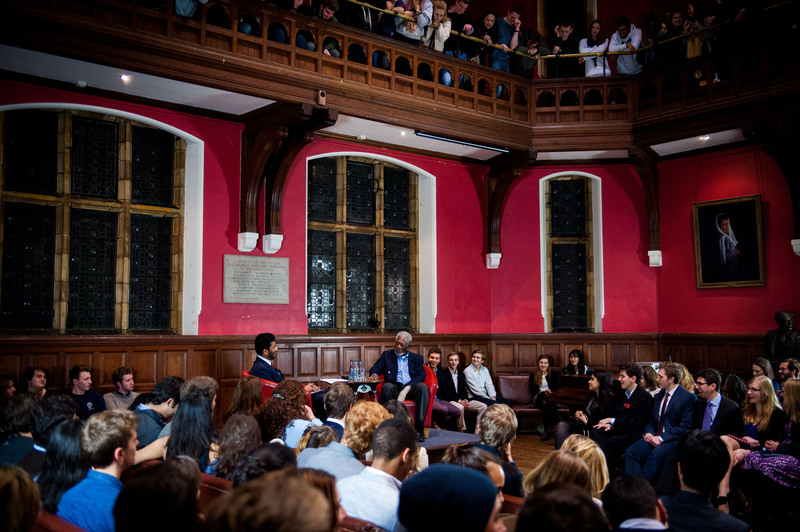 The evening began at 8:00 p.m. GMT with an interview between Oxford Union President Mayank Banerjee and Mr. Freeman. Banerjee explored Freeman’s early career from the age of 8 onwards, his first career as a pilot in the air force and his decision to pursue acting full-time. Morgan spoke of his first film break Harry and Son (1984) and the series of opportunities that followed including one of his most memorable performances, playing Nelson Mandela in Invictus (2009). Freeman talked of the personal request from Mandela that Freeman should play him and the many times that Freeman met Mandela to get to know Mandela in preparation for the film. The first question from the floor consisted of a long and rambling series of statements that didn’t end with an obvious question. “Is there a question?” asked Freeman to applause and laughter. What roles did Morgan enjoy most? “I enjoyed playing a pimp in Street Smart, I enjoyed Driving Miss Daisy, I enjoyed working with Clint (Eastwood) in Unforgiven and Million Dollar Baby. Freeman left to a standing ovation. 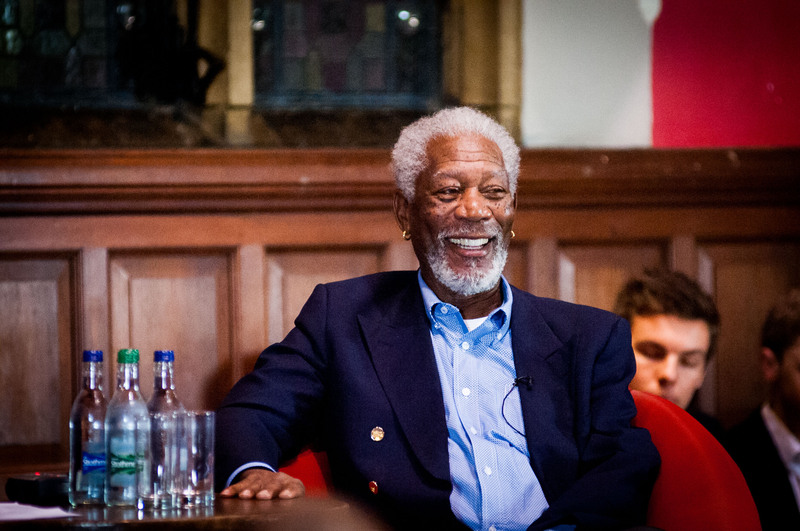 Oxford Union members who queued for up to four hours to gain entrance were well rewarded by this unique opportunity to meet one of the greatest actors of all time, an evening of insight and laughter in equal measure. 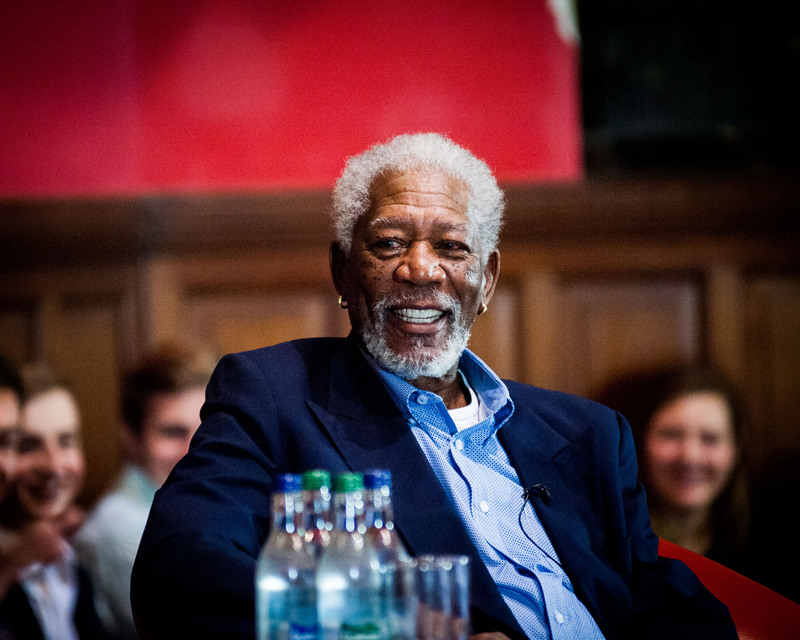 The inaugural Conversations with Morgan Freeman at Oxford was recorded and will be available in the SAG Foundation video gallery (sagfoundation.org/video-gallery) in the coming days. 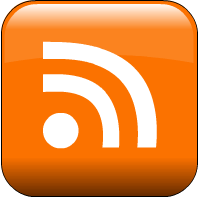 Presidents and Officers are elected termly by ballot of the entire membership, which continues (in most cases) for life. The Society is headed by the President (who organises debates and manages the Society), supported by the Librarian (who invites individual speakers and runs the library), the Treasurer (who administers budgets and the maintenance of the buildings), and the Secretary (who minutes meetings and organises social events). The Society’s governing body is the Standing Committee, which encompasses a wide variety of experience and representation.